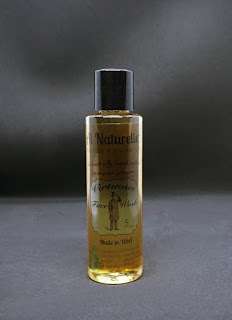 At the Fence: Al Naturelle #NaturalSkincare For Natural Beauty! 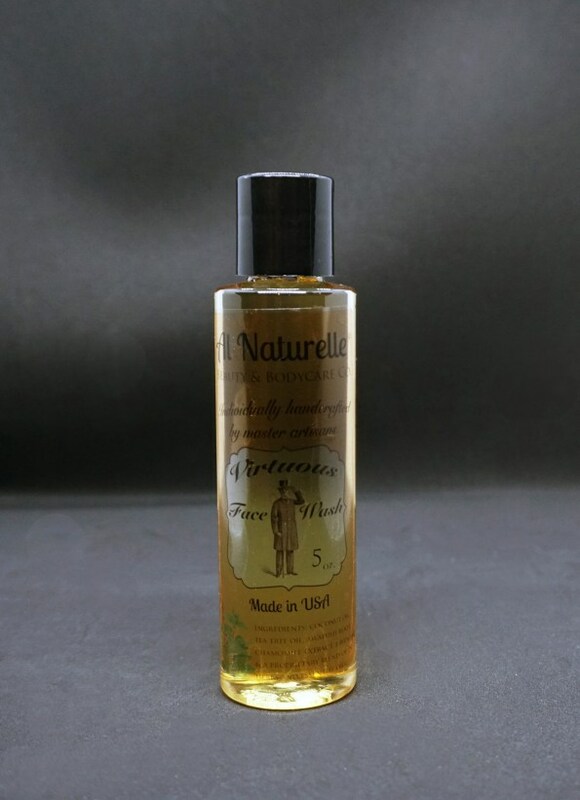 Al Naturelle #NaturalSkincare For Natural Beauty! Do we have any readers who are fans of natural skincare? I have slowly become more and more convinced of the benefits of natural skincare products, and I have really noticed a change in my skin as I convert to more of these products. 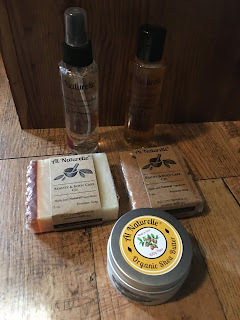 I recently had the opportunity to try a few products from Al Naturelle, a company that offers premium artisan-crafted beauty and body care goods that are rooted in the beauty of nature. 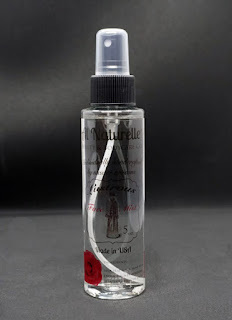 I have to admit, my favorite product is the lustrous face mist. This is just so refreshing and feels so good on your skin! It doesn't just feel good though, it's actually a toner that hydrates and nourishes your skin. The soft rose scent is lovely as well! I love that this is made with natural ingredients such as lavender and rose oils, witch hazel root, and aloe vera gel. The virtuous face wash is probably my second favorite. This is a plant-based product that gently cleanses without being harsh. I have super dry skin (especially with our recent freezing temps) and this is a natural cleanser that actually leaves my skin feeling clean but not stripped. The bar soaps aren't something I would normally use, as I've never been a fan of bar soap (usually much too drying for me). But to my surprise, I actually really liked them both-especially the Dead Sea Mineral Scrub Soap. 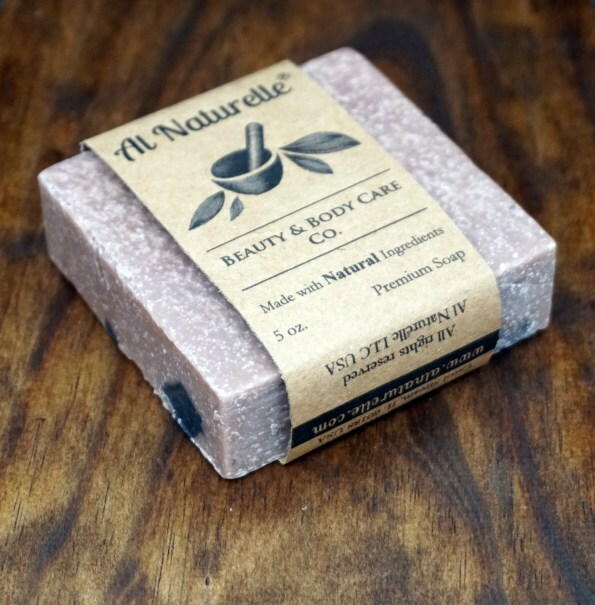 This one has chunks of activated charcoal in it, and is packed with Dead Sea minerals, which means it exfoliates your skin naturally while also cleansing. It's still slightly more drying than I prefer, but I have found myself reaching for it quite often anyways. As I said, my skin is super dry so I have to use a lotion or body oil after showering anyways, and I love the benefits of this soap. Trust me, even if you don't generally use bar soap, this is one you will make an exception for!! Overall, I have been very impressed with the quality and results of the Al Naturelle products. I can honestly see the difference in my skin after a few weeks of using natural products, and I love knowing that it's better for me in the long run too. I also found the products to be quite reasonably priced, especially after seeing what some other companies charge for similar products! If you're looking for natural skincare, or maybe you'd like to give natural products a try, check out Al Naturelle's selection today! Like At the Fence on Facebook! My name is Lori and I am a stay at home mom. I have six children. 4 girls and 2 boys. We all love to try new products, which is one of the reasons I started At the Fence. At the Fence is where neighbors used to share information. A neighbor would walk out and talk to her neighbor At the Fence about anything and everything. From how their children were doing to what type of medicine Suzie was taking for her cold. They recommended products and services to each other while standing At the Fence. That is the type of website I want to create here, where neighbors can come and hear about new or interesting products and services. I hope you like At the Fence enough to become a neighbor. Stop by At the Fence often to see what new products or services we have found. Giveaways are to US only unless stated otherwise in the post. Thanks so much for taking the time to check us out and a special thank you to all those who keep At the Fence going by stopping by on a regular basis! 1. All men are sinners (Romans 3:10, 23, Eccl. 7:20). Him alone for your salvation. Biblical salvation will not occur unless one sees their sinfulness before God and has a desire to follow Christ. Biblical salvation will result in an individual being a "new creature" in Christ (2 Cor. 5:17) and being delivered from a lifestyle of sin (1 Cor. 6:9-11). Good works and religious deeds such as baptism are a RESULT of salvation, not a means to acquire it. If you are interested in hearing more please email me at blessed6mom@yahoo.com. I am trying to keep this blog a review and giveaway site. Thank you. March Gramma in a Box!! Nancy Drew Is Coming Back! Why Would You Need a Criminal Defense Attorney?